Some individuals held more than one position in more than one organization; some Continental Army generals also held high-ranking positions in their state militia or state government. He emerged as a military leader in Long Cane, South Carolina fighting against the Cherokee who had allied with the Loyalists. In the year 1779 Henry Clinton deployed British soldiers to both South Carolina and North Carolina to encourage Loyalist support. On February 14, 1779, Colonel Pickens and his 300 man militia overtook the larger British force of 700-800 men at the Battle of Kettle Creek in Wilkes County, Georgia just South of the Long Canes. The victory at Kettle Creek slowed the recruitment of the Loyalists. However, when the British defeated the Southern Continental Army in 1780 in the Siege of Charleston, Pickens surrendered a fort in the Ninety-Six District and he, along with his 300 militia men, on oath, agreed to sit out of the war. Pickens’ parole did not last, however. After Tory raiders destroyed most of his property and frightened his family, he informed the British that they had violated the terms of parole and rejoined the war. During this period of the war, Pickens would join Francis Marion and Thomas Sumter as the most well-known partisan leaders in the Carolinas. He saw action at the Battle of Cowpens, Siege of Augusta, Siege of Ninety-Six, and the Battle of Eutaw Springs. Pickens gained the respect of these Natives, and after the war was well regarded by Native Americans that he dealt with; he was given the name Skyagunsta, “the Wizard Owl,” which is reportedly a name based on a well-regarded previous King of the tribe. At the end of the war, Pickens was elected to public office in the South Carolina House of Representatives from 1781-1794. During the siege of Boston, Ward directed his forces from his sickbed, but later moved his headquarters to Cambridge. Soon, the New Hampshire and Connecticut provisional governments both named him head of their forces participating in the siege. Most of his efforts during this time were devoted to organization and supply problems. Additional British forces arrived in May, and in June, Ward learned of their plan to attack Bunker Hill. He gave orders to fortify the point, setting the stage for the Battle of Bunker Hill on June 17, 1775. Command during the battle devolved upon General Israel Putnam and Colonel William Prescott. Meanwhile, the Continental Congress was creating a Continental Army. 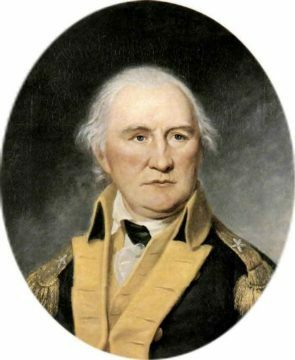 On June 17 they commissioned Ward a major general, and second in command to George Washington. 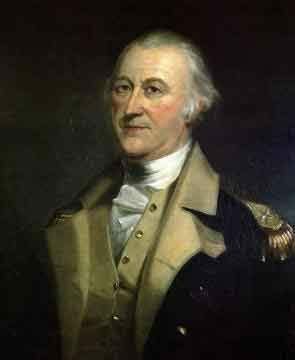 Ward was one of the original four major generals in the Continental Army along with Charles Lee, Philip Schuyler and Israel Putnam. Over the next nine months he helped convert the assembled militia units into the Continental Army. 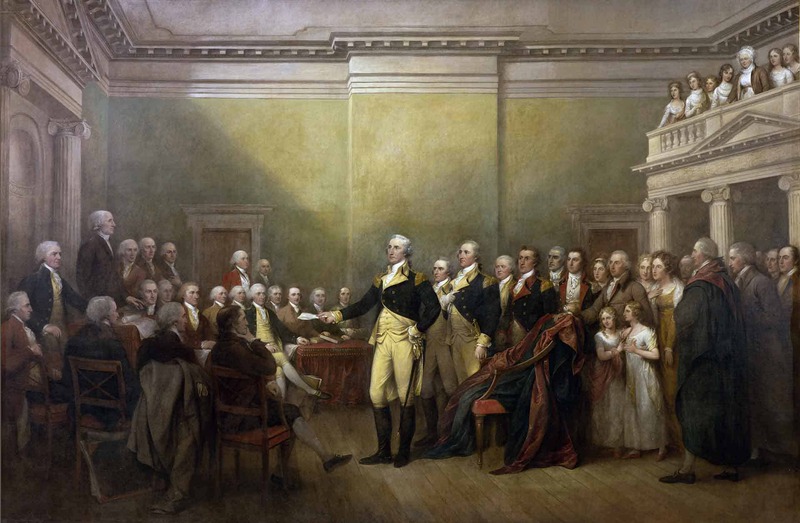 After the British evacuation on March 17, 1776, Washington led the main army to New York City. Ward took command of the Eastern Department on April 4, 1776. He held that post until March 20, 1777, when his health forced his resignation from the army. Born in Chester County, Pennsylvania, Wayne worked as a tanner and surveyor after attending the College of Philadelphia. He won election to the Pennsylvania General Assembly and, in 1775, helped raise a Pennsylvania militia unit. During the Revolutionary War, Wayne served in the Invasion of Quebec, the Philadelphia campaign, and the Yorktown campaign. Wayne’s reputation suffered due to his defeat in the Battle of Paoli, but he won wide praise for his leadership in the 1779 Battle of Stony Point. 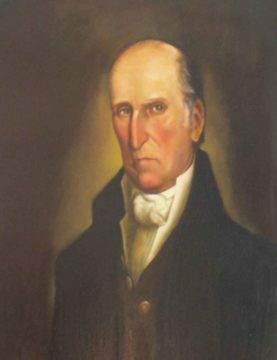 In January 1776, Arthur St. Clair accepted a commission in the Continental Army as a colonel of the 3rd Pennsylvania Regiment. He first saw service in the later days of the Quebec invasion, where he saw action in the Battle of Trois-Rivières. He was appointed a brigadier general in August 1776, and was sent by Gen. George Washington to help organize the New Jersey militia. He took part in George Washington’s crossing of the Delaware River on the night of December 25–26, 1776, before the Battle of Trenton. Many biographers credit St. Clair with the strategy that led to Washington’s capture of Princeton, New Jersey on January 3, 1777. St. Clair was promoted to major general in February 1777. In April 1777, St. Clair was sent to defend Fort Ticonderoga. His small garrison could not resist British General John Burgoyne’s larger force in the Saratoga campaign. St. Clair was forced to retreat at the Siege of Fort Ticonderoga on July 5, 1777. He withdrew his forces and played no further part in the campaign. In 1778, he was court-martialed for the loss of Ticonderoga. The court exonerated him and he returned to duty, although he was no longer given any battlefield commands. He still saw action, however, as an aide-de-camp to General Washington, who retained a high opinion of him. St. Clair was at Yorktown when Lord Cornwallis surrendered his army. Arnold was born in Connecticut and was a merchant operating ships on the Atlantic Ocean when the war broke out in 1775. He joined the growing army outside Boston and distinguished himself through acts of intelligence and bravery. His actions included the Capture of Fort Ticonderoga in 1775, defensive and delaying tactics at the Battle of Valcour Island on Lake Champlain in 1776 (allowing American forces time to prepare New York’s defenses), the Battle of Ridgefield, Connecticut (after which he was promoted to major general), operations in relief of the Siege of Fort Stanwix, and key actions during the pivotal Battles of Saratoga in 1777, in which he suffered leg injuries that halted his combat career for several years. 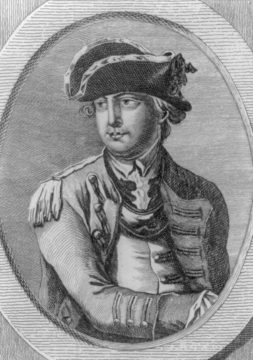 Despite Arnold’s successes, he was passed over for promotion by the Continental Congress, while other officers claimed credit for some of his accomplishments. Adversaries in military and political circles brought charges of corruption or other malfeasance, but most often he was acquitted in formal inquiries. Congress investigated his accounts and concluded that he was indebted to Congress (he also had spent much of his own money on the war effort). [vague] Arnold was frustrated and bitter at this, as well as with the alliance with France and the failure of Congress to accept Britain’s 1778 proposal to grant full self-governance in the colonies. He decided to change sides, and opened secret negotiations with the British. In July 1780, he was awarded command of West Point. His scheme was to surrender the fort to the British, but it was exposed when American forces captured British Major John André carrying papers which revealed the plot. Upon learning of André’s capture, Arnold fled down the Hudson River to the British sloop-of-war Vulture, narrowly avoiding capture by the forces of George Washington, who had been alerted to the plot. Arnold received a commission as a brigadier general in the British Army. 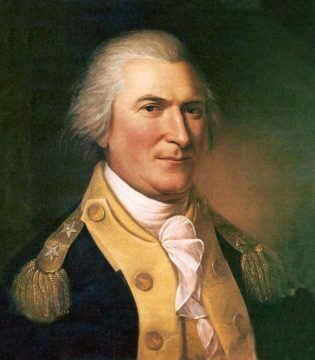 He led British forces on raids in Virginia and against New London and Groton, Connecticut before the war effectively ended with the American victory at Yorktown. In the winter of 1782, he moved to London with his second wife Margaret “Peggy” Shippen Arnold. 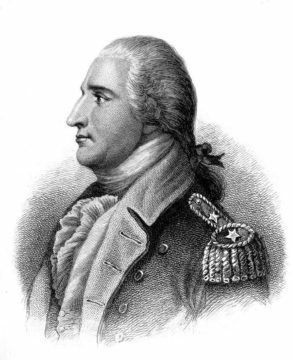 Benjamin Lincoln is notable for being involved in three major surrenders during the war: his participation in the Battles of Saratoga (sustaining a wound shortly afterward) contributed to John Burgoyne’s surrender of a British army, he oversaw the largest American surrender of the war at the 1780 Siege of Charleston, and, as Gen. George Washington’s second in command, he formally accepted the British surrender at the Battle of Yorktown. In January 1776, Lincoln was promoted to major general of the Massachusetts militia, overseeing the coastal defenses of the state. 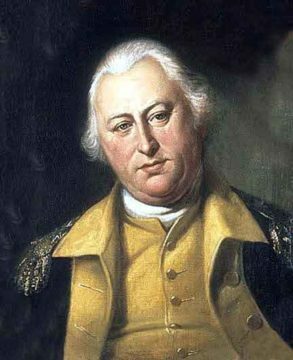 After the British evacuated Boston, he and Continental Army General Artemas Ward oversaw attempts to improve the state’s coastal fortifications, and he was ordered to hold the state’s militia brigades in readiness in case the British returned. In May 1776, he directed the state forces that successfully drove the last Royal Navy ships from Boston Harbor. Lincoln’s first command was that of a forward outpost at Bound Brook, New Jerse. After months of skirmishing, his post was the target of a surprise attack in April 1777. In the Battle of Bound Brook, he was defeated by a much larger British force, barely escaping capture. Lincoln rejoined Gen. George Washington outside New York in August 1778, and was appointed commander of the Southern department in September. From 1781 to late 1783, Lincoln served as the first United States Secretary of War. He was appointed by the Confederation Congress under the Articles of Confederation and Perpetual Union, adopted 1781. 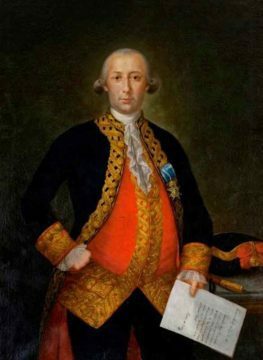 Bernardo Vicente de Gálvez y Madrid, Viscount of Galveston and Count of Gálvez was a Spanish military leader and colonial administrator who served as colonial governor of Spanish Louisiana and Cuba, and later as Viceroy of New Spain. Gálvez practiced an anti-British policy as governor, taking measures against British smuggling and promoting trade with France. 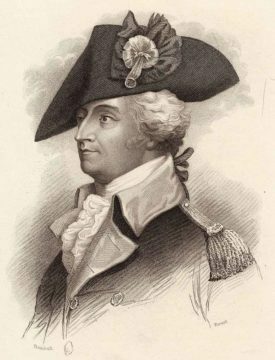 He damaged British interests in the region and kept it open for supplies to reach General George Washington’s Continental Army. Gálvez aided the American Thirteen Colonies in their quest for independence and led Spanish forces against Britain in the Revolutionary War, defeating the British at the Siege of Pensacola in 1781 and conquering West Florida. Following Gálvez’s successful campaign, the whole of Florida was ceded to Spain in the Treaty of Paris. Gálvez carried out a masterful military campaign and defeated the British colonial forces at Manchac, Baton Rouge, and Natchez in 1779.The Battle of Baton Rouge in 1779, freed the lower Mississippi Valley of British forces and relieved the threat to the capital of Louisiana, New Orleans. In March 1780, he recaptured Mobile from the British at the Battle of Fort Charlotte. Gálvez’s most important military victory over the British forces occurred 8 May 1781, when he attacked and took by land and by sea Pensacola, the British (and formerly, Spanish) capital of West Florida from General John Campbell of Strachur. The loss of Mobile and Pensacola left the British with no bases along the Gulf coast. In 1782, forces under Gálvez’s overall command captured the British naval base at Nassau on New Providence Island in the Bahamas. Gálvez is one of only eight people to be awarded honorary United States citizenship. Kazimierz Michał Władysław Wiktor Pułaski of Ślepowron was a Polish nobleman, soldier and military commander who has been called, together with his Hungarian friend Michael Kovats de Fabriczy, “the father of the American cavalry“. On August 20, he met General George Washington in his headquarters in Neshaminy Falls, outside Philadelphia. He showed off riding stunts, and argued for the superiority of cavalry over infantry.Because Washington was unable to grant him an officer rank, Pulaski spent the next few months traveling between Washington and the United States Congress in Philadelphia, awaiting his appointment. His first military engagement against the British occurred before he received it, on September 11, 1777, at the Battle of Brandywine. Pulaski went to Yorktown, where he met with General Horatio Gates and suggested the creation of a new unit. At Gates’ recommendation, Congress confirmed his previous appointment to the rank of a brigadier general, with a special title of “Commander of the Horse”, and authorized the formation of a corps of 68 lancers and 200 light infantry. This corps, which became known as the Pulaski Cavalry Legion, was recruited mainly in Baltimore, where it was headquartered. Pulaski arrived in Charleston, South Carolina on May 8, 1779, finding the city in crisis. Although he frequently suffered from malaria while stationed in Charleston, he remained in active service. Pulaski rendered services during the siege of Savannah, and in the assault of October 9 commanded the whole cavalry, both French and American. 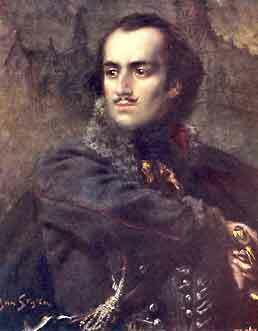 While attempting to rally fleeing French forces during a cavalry charge, Pulaski was mortally wounded by grapeshot. A wounded Pulaski was carried from the field of battle and taken aboard the South Carolina merchant brig privateer Wasp, where he died two days later, having never regained consciousness. Lee was appointed as the first commander of the Southern Department. He served in this post for six months, until he was recalled to the main army. Although his army was supposed to join that of Washington’s in Pennsylvania, Lee set a very slow pace. On the night of December 12, Lee and a dozen of his guard inexplicably stopped for the night at White’s Tavern in Basking Ridge, New Jersey,some three miles from his main army. The next morning, a British patrol of two dozen mounted soldiers found Lee writing letters in his dressing gown, and captured him. Lee returned to service a couple of years later after he was exchanged. During the Battle of Monmouth in June 1778, Washington needed a secondary commander to lead the frontal assault. He unwillingly chose to put Lee in charge, as he was the most senior of his generals. At first, Lee was so reluctant to take part in the attack that Washington bestowed command onto the Marquis de Lafayette. Upon this, Lee had a change of heart and requested that Lafayette cede command, which he gladly did. Washington ordered him to attack the retreating enemy, but instead, Lee ordered a retreat after only one volley of fire. After seeing this, Lafayette sent a messenger to Washington informing him of this behavior. Lee’s troops retreated directly into Washington and his troops, who were advancing, and Washington dressed him down publicly. Lee responded with insubordination, for which he was arrested. On July 2, 1778, Lee was court-martialled at Brunswick, New Jersey by a jury presided by Lord Stirling on three charges: 1) disobedience of orders in not attacking the enemy; 2) misbehavior before the enemy in making an unnecessary, disorderly, and shameful retreat; 3) disrespect to the commander-in-chief. Lee was found guilty, and he was relieved of command for a period of one year. Lee tried to get Congress to overturn the court-martial’s verdict. When this failed, he made open attacks on Washington’s character. Lee’s popularity then plummeted. Colonel John Laurens, an aide to Washington, challenged him to a duel, in which Lee was wounded in his side. Daniel Morgan was an American pioneer, soldier, and politician from Virginia. He was one of the most gifted battlefield tacticians of the Revolutionary War. Morgan’s company had a significant advantage over the others. Instead of the smooth-bore weapons used of most British and most American companies, his men carried rifles. Morgan’s company used guerrilla tactics, first shooting the Indian guides who led the British forces through the rugged terrain. They then targeted the officers. The British Army considered these guerrilla tactics to be dishonorable; however, they created chaos within the British ranks. Early in the war, Morgan served in General Benedict Arnold’s expedition to Quebec, where he was captured and remained a prisoner until he was exchanged in January 1777. He was then in the Saratoga campaign. After Saratoga, Morgan’s unit rejoined Washington’s main army, near Philadelphia. Throughout 1778, Morgan hit British columns and supply lines in New Jersey, but was not involved in any major battles. He was not involved in the Battle of Monmouth but actively pursued the withdrawing British forces and captured many prisoners and supplies. When the Virginia Line was reorganized on September 14, 1778, Morgan became the colonel of the 7th Virginia Regiment. Morgan served in the Philadelphia campaign but resigned from the army in 1779. Besides this frustration with the army and the Congress, his legs and back aggravated him from the abuse taken during the Quebec Expedition. He was finally allowed to resign on June 30, 1779, and returned home to Winchester. Morgan returned to the army after the Battle of Camden, and led the Continental Army to victory in the Battle of Cowpens.